Triple Cree XP-E2 Red 620nm LED Emitter with 20mm .. 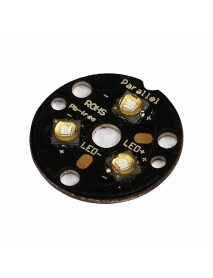 Triple Cree XP-E2 Red 620nm LED Emitterwith 20mm x 1mm DTP Copper PCB (Parallel) w/ opticsProduct Sp.. Triple Cree XP-E2 Red Green Blue LED Emitter with .. 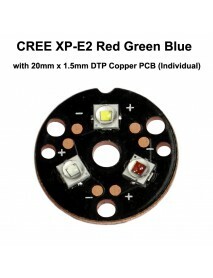 Triple Cree XP-E2 Red Green Blue LED Emitterwith 20mm x 1.5mm DTP Copper PCB (Individual) w/ opticsP.. Triple Cree XP-E2 Royal Blue 450nm LED Emitter wit..
Cree XP-E2 450nm Royal Bluewith 20mm x 1mm DTP Copper PCB (Parallel) w/ opticsProduct Specifications.. 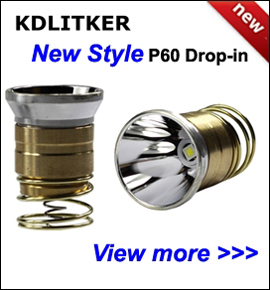 Triple Cree XP-L HI LED Emitter with KDLITKER 20mm.. 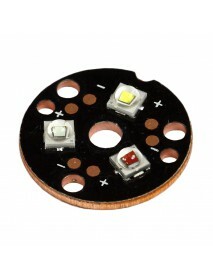 Triple Cree XP-L HI LED Emitter with 20mm x 1mm Copper PCB (Parallel) w/ opticsProduct Specification.. Triple Cree XP-E2 Green 530nm Green LED Emitter wi.. Triple Cree XP-E2 Green 530nm LED Emitterwith 20mm x 1mm DTP Copper PCB (Parallel) w/ opticsProduct .. 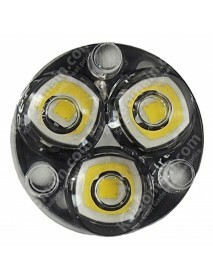 Triple Nichia 219C Neutral White 4000K CRI92 LED E.. 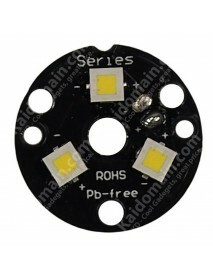 Triple Nichia 219C Neutral White 4000K CRI92 LED Emitterwith 20mm x 1mm DTP Copper PCB (Parallel) w/.. Triple Nichia CRI92 NVSW219BT-V1 5700K LED Emitter..
Three LED wired in parallel (Vf 3-3.3V@4.5A), SW57, white (5700K), High CRI 92Comes with high grade .. Triple Cree XP-E2 Amber 585nm - 595nm LED Emitter .. 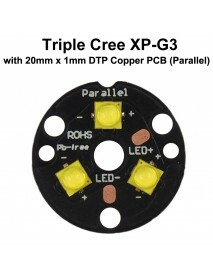 Triple Cree XP-E2 Amber 585nm - 595nm LED Emitterwith 20mm x 1mm DTP Copper PCB (Parallel) w/ optics.. Triple Seoul Viosys Ultraviolet UV 365nm LED Emitt.. 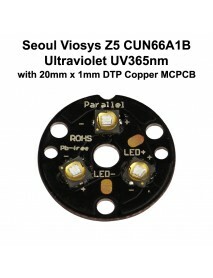 Triple Seoul Viosys Ultraviolet UV 365nm LED Emitterwith 20mm x 1mm DTP Copper MCPCB (Parallel) w/ o.. Triple CREE XP-G2 LED Emitter with 20mm x1mm DTP C.. 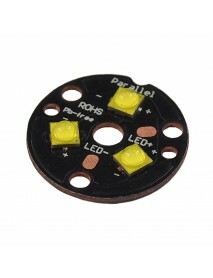 Triple CREE XP-G2 LED Emitter with 20mm x1mm DTP Copper PCB (Parallel) w/ opticswith 20mm x 1mm DTP .. Triple Cree XP-G3 LED Emitter with 20mm x1mm DTP .. Triple Cree XP-G3 LED Emitter with 20mm x 1mm DTP Copper PCB (Parallel) w/ opticsProduct Specif.. Triple Cree XP-L HI V2 Neutral White 4500K LED Emi..
Bulb type: Cree XP-L HI V2 Neutral White 4500KAluminum Base Size: 20mm(Dia.) x 1mm(Thickne..